So I set a personal goal for myself. I was (okay, still am) going to try to make at least one recipe from each of the Julia Child cookbooks in my personal library to celebrate #CookforJulia over the eleven day period in August leading up to what would have been her 100th birthday (5th-15th). I own seven of her cookbooks, so that's not unreasonable. I have a couple of non-cookbooks about her that I could throw into the mix, as well...but I figured I'd be more likely to reach my goal if I stuck with the cookbooks. I started with my favorite Julia book. And I already have a plan in the works for Julia's birthday (final day of #CookforJulia). Today I was able to share something from (or for) Julia AND someone else who is near and dear to my personal journey in the kitchen, Rick Bayless. Oh yeah. Believe it. 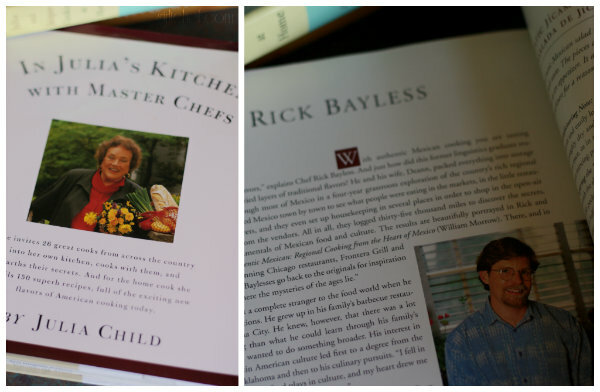 Nestled towards the back of Julia's 1995 In Julia's Kitchen with Master Chefs is a young(er) Bayless. This book contains "a celebration of food in America today" (today being 1995...though it is still relevant today). In the introduction, Julia reminisced that back in 1961 when Mastering the Art of French Cooking was published, many cookes had never heard of a leek, cooked with a shallot, knew the existence of the word braise, or ate a salad beyond iceberg. French food was considered the notable cuisine. Since then cooking and the exploration of and immersion in different cuisines has become commonplace. 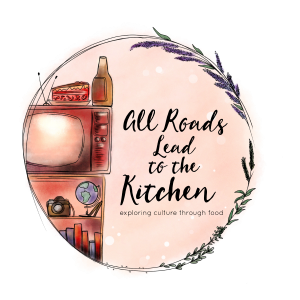 Much of this is owed to the Food Network and the Cooking Channel...but it all started with pioneers such as Julia Child on PBS before these channels ever existed. Julia invited master chefs into her Cambridge home to cook for her, Paul, and the team behind the scenes for her show Master Chefs. This books was written to accompany that series. Of Bayless, Julia writes of his love for Mexican cuisine. Rick and his wife Deann put all of their belongings into storage and embarked on a four-year exploration of Mexico's rich regional cooking. They explored town by town. They immersed themselves in everyday life to see what the people of Mexico ate in markets, in small restaurants, from street vendors, and in their homes. The fundamentals, the secrets, the bits of treasure they gleaned came from logging thirty-five THOUSAND miles of exploration. 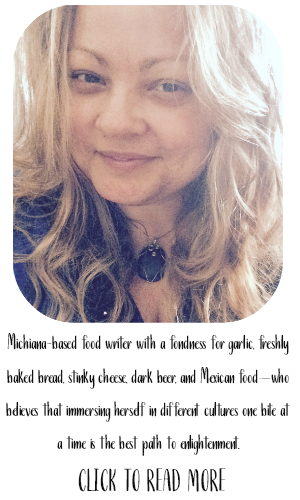 She highlites Rick's belief that "with authentic Mexican cooking you are tasting many generations of flavor". Rick wanted to prepare a meal in Cambridge (as he does anywhere) that left them with a sense of well-being. Julia said "The brilliant flavors, varied textures, and beautiful colors of the dishes he prepared" did just that. From the meal that Rick presented Julia, I chose to make the main course, Costillas Adobadas. This was Julia's introduction... "Chef Rick likes country-style pork ribs for this dish because they have more meat on them, and one rib makes a generous serving per person. Besides, they have a good texture, as usually reasonably priced, and look attractive on the platter. His marinade is a fine one not only for other cuts of pork but for fish and chicken as well..."
I agree whole-heartedly with that assessment, the marinade is deep and earthy and rich...but even better once it's turned into a sauce (or glaze) with the addition of the honey. That seductive heat from the chiles is perfectly accented by the sticky, golden honey and I wanted to slather it on anything I could get my hands on! Begin by setting a heavy, ungreased comal or cast-iron skillet over medium heat. Stem and seed the chiles and rip them open so that they will lay flat. Set them on the hot skillet, pressing with a spatula for just a few seconds, until they start to change color and crackle a bit. They should smell nice and earthy and toasty - but not burnt. Flip over and repeat on opposite side. Remove from skillet and place in bowl. 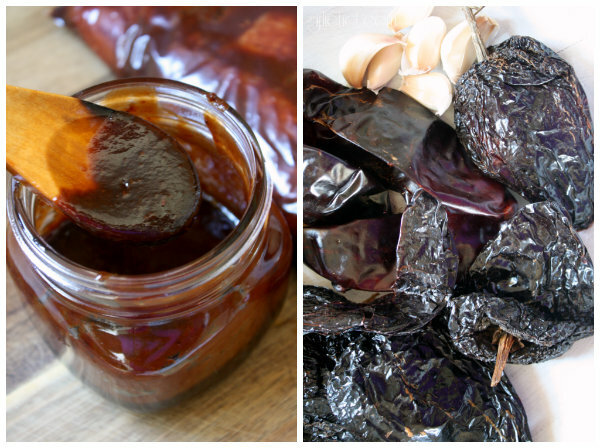 Do this in batches until all chiles have been toasted. Cover chiles with boiling water and set a plate on top to keep them submered; let soak ~30 minutes. Toss the garlic cloves onto the hot skillet and roast until soft and charred in spots, ~10-15 minutes. Let cool until you're able to handle then, then slip the garlic from its paper skin. Place the garlic in the jar of a blender. Lift the chiles from their soaking water and place in blender with the garlic. Add ½ cup of broth to the blender along with the vinegar and all of the spices. Puree until smooth, scraping down the sides of the blender jar as needed. Press the puree through a sieve into a clean bowl, pushing down with a rubber scraper to release all of the liquid. Stir in the brown sugar and salt; taste and adjust seasoning as needed. You could make this chile marinade up to several weeks in advance and store it in a jar with a lid in the fridge until ready to use. Place the ribs in a gallon-size zippered baggie and pour HALF of the marinade over them. Seal the baggie and squidge everything along until the marinade coats the pork. Refrigerate overnight or up to 2 days. Combine remaining half of chile marinade with honey; stir until smooth. Cover and refrigerate. Preheat oven to 325° F. Dump the ribs and any marinade into a large baking or roasting pan. Drizzle ¼ cup of water around them. Cover with foil and bake until tender when pierced with a fork - this could take anywhere from 1-2 hours. Uncover and baste with the liquid in the pan. Return to oven and bake uncovered for 15 minutes, this will help them develop a good crust. Carefully pour the fat and juices out of the pan. Increase heat to 350° F. Brush the ribs with the chile-honey glaze...really slather it on there...really, use it all! Bake until the ribs are beautifully glazed and crusty on the edges, ~15 minutes. Lay the lettuce leaves on a serving platter and arrange the ribs over them. Scatter onion, radishes, and cilantro over them. Serve with hot corn tortillas. 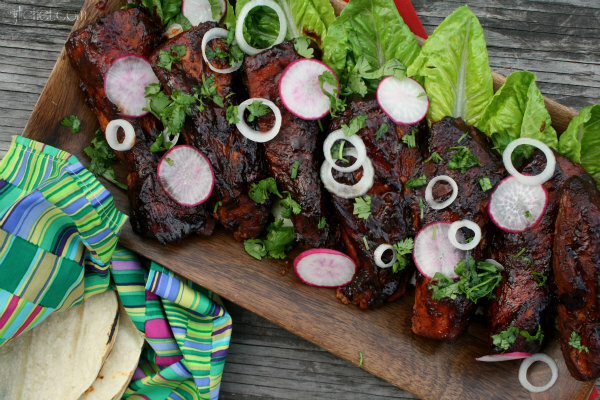 These ribs are great eaten whole or shredded and stuffed into tortillas to make some tasty tacos. IHCC theme: Feel the Heat! I'm also challenging myself to #cookforjulia up until her birthday next week. I love that we are all honoring her this way to celebrate her legacy! 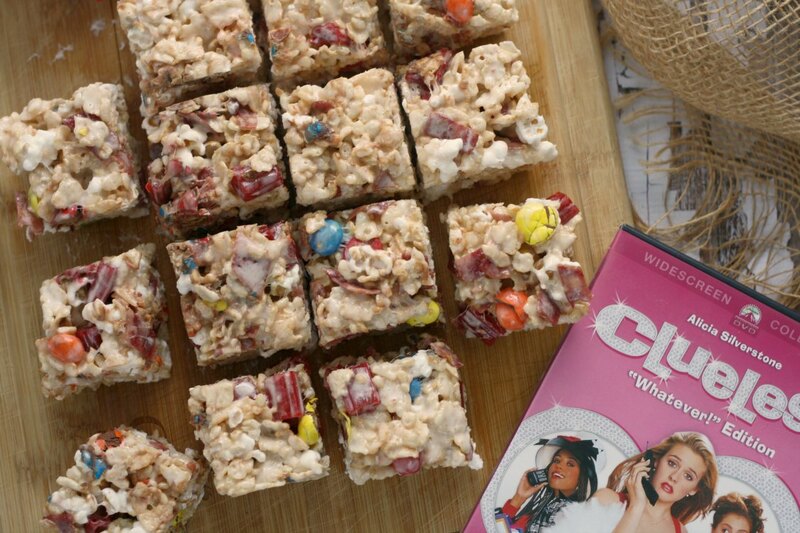 This is a fabulous recipe. These ribs look like they have just the right amount of heat but not so much to kill your palate! I love your idea of cooking from each of Julia's books. Wish I'd thought of it! I'm going to post next week's final 50 Women Game Changer blog on her birthday instead of Friday, and I think I'll make the cake I see as a challenge. This recipe looks wonderful. I remember watching that episode. Thanks for sharing. Those ribs are to die for!! Love your love for Julia! Those ribs look so good I said a naughty word as soon as I saw them. Soooo, what time's dinner? 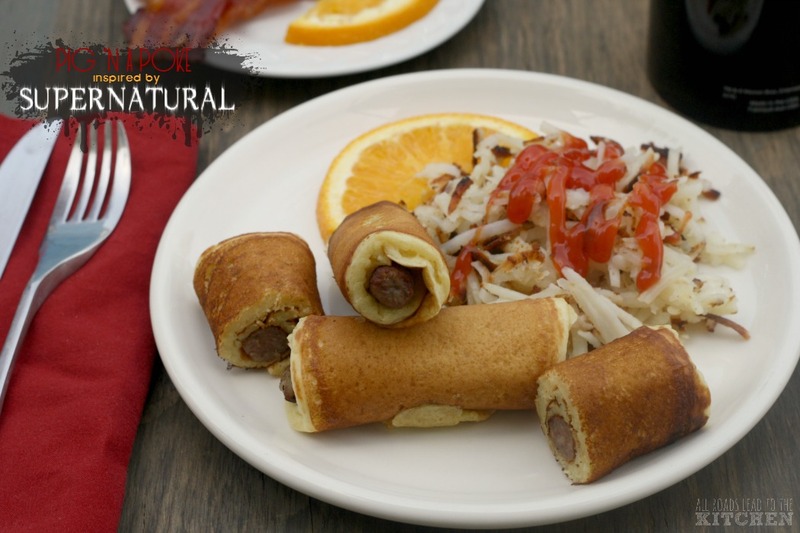 You do this kind of dish so well, Heather. I'm already imagining that glaze smothered over chicken. You photographed it perfectly, too, I love the ribs on salad concept, great post!!! Thanks so much Sue - and YES, it's going on chicken next! I love it, too! I can't wait to see what else you make =) ...and you are right - they have the perfect amount of heat. Hot but in a pleasant way. I love that you managed to combine your ihcc post with your Julia post. Way to kill two birds with one delicious stone. this was awesome! what a great tribute to two amazing trail blazers. and those ribs, i would pay good money for such a delicious looking dish! Rick and Julia together at last! Fabulous. That sauce is such a deep chocolatey brown color, I thought it was hot fudge before I actually read the post, but knowing that it's full of chiles makes it even better. Wow - who knew they cooked together? And look how young he looks! I love these ribs, in fact I have all the ingredients except for the salad.... Seriously, my tongue is stuck to the screen. =P I'm in heaven! Oh my! The ribs looks so delicious! The chile marinade sounds so flavourful with all the spices and ingredients. Looks fantastic with the ribs! 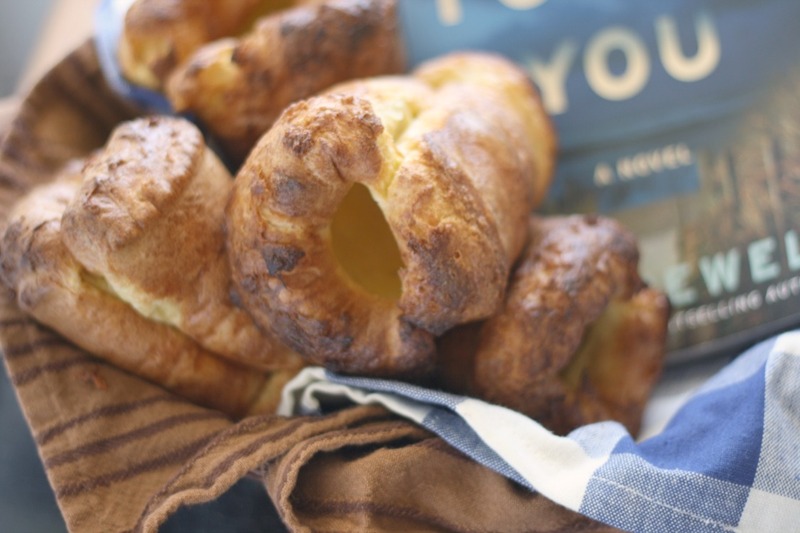 I have not tried any of Julia Child's recipes before, just recently got her book, Baking with Julia, but then, the recipes are from contributor chefs! Beautiful ribs, Heather, wish I could have a bite into the tender juicy meat! Yum! The marinade sounds amazing!! what a great event. I cannot wait to see what you feature!! This has me just about licking my screen. I can just imagine chowing into a big plate of these and then spending the next half hour licking my fingers. Those look absolutely perfect! I love the radishes on top. I never liked radishes until I recently had some thinly sliced ones on a taco. My eyes were opened! Wow! 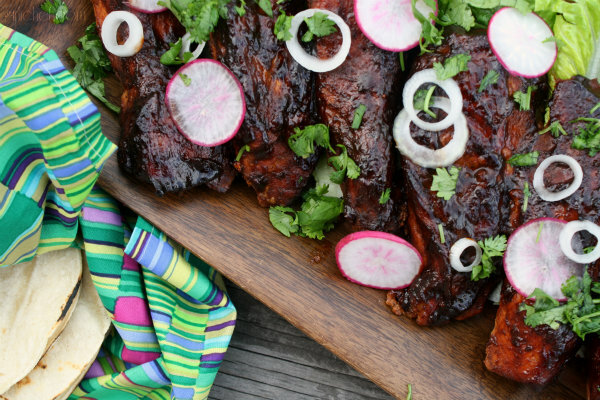 Just looking at the ribs is making my mouth water - I can just imagine how fabulous these taste! 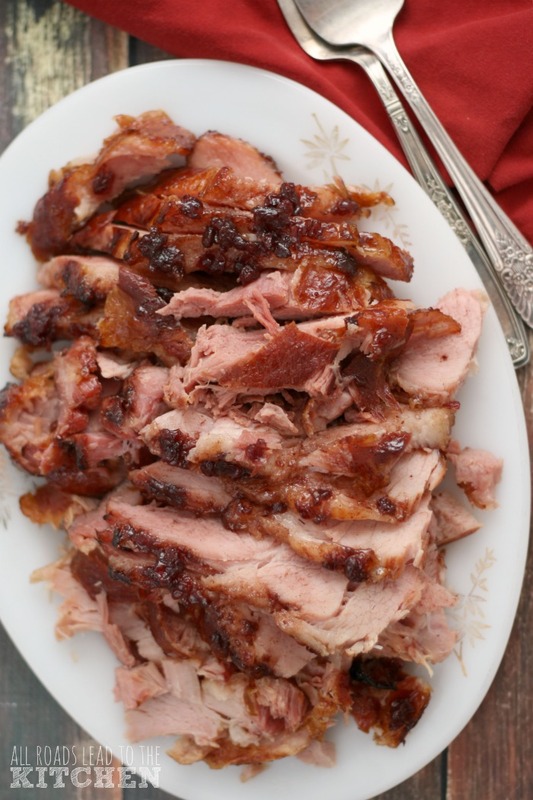 Thanks for sharing a stupendous recipe!